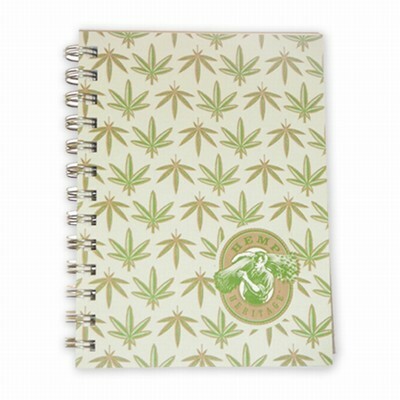 This new journal has a lightly letter-pressed cover featuring cannabis sativa leaves and the classic "hemp man" Hemp Heritage® logo. Measuring 5" x 7", these journals contain 70 sheets of our exclusive 24# (90 gsm) Hemp Heritage® paper. Each sheet is blank for writing, sketching and doodling.